Uganda, the state, will be 50 years old on October 9. That is the history book record. However, a private photo collection that started life as a Facebook archive venture is challenging that version of events. Most times, unintentionally. By the simple act of dredging up visual records from 100 years ago of life in the area that is now geographically registered as Uganda, History in Progress Uganda (HIP) is forcing a re-think of what it means to be Ugandan and where Uganda come from. 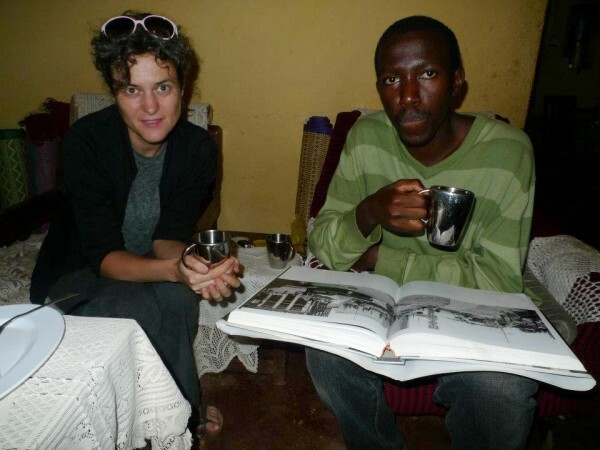 Stultiens is a Dutch photographer who has worked on previous projects in Uganda such as the Kaddu Wasswa Archive, resulting in a book and an exhibition in 2011. She has a passionate interest for the use and narrative possibilities of photographies and collections of visual material. She met local artist Rumanzi Canon during a Bayimba photography workshop last year. A casual perusal of HIP in its 9th month though proves it is growing beyond their original intentions. Stultiens and Rumanzi rely on individuals with photos of ‘Uganda as it was’ and from their own histories to fill up this archive. The results of the photos they have received have stunned them and their Facebook followers, many of whom were unaware of the scale to which Uganda has been visually recorded right from the 19th century. HIP is about that journey. 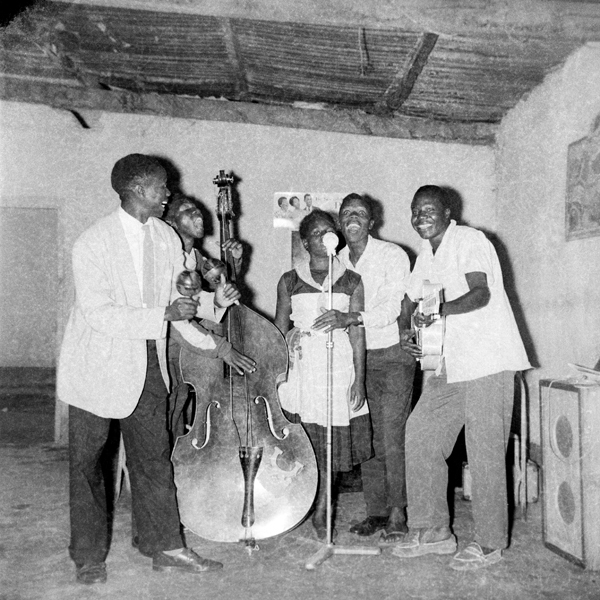 Startjournal writer David Tumusiime had an email exchange with Stultiens and Rumanzi about how HIP got started, what it wishes to achieve and where it is going. David Tumusiime: What is HIP all about? Stultiens: HIP is a digital archive of photographs in Ugandan collections and collections abroad that house material from Uganda. These collections can be private or institutional. HIP is not only about collecting though, but more particularly about sharing the material we find, giving audiences (Ugandans as well as non-Ugandans) the opportunity to engage with it, and attach it to their experiences, knowledge, ignorance and stories. Possibly the most famous 19th century photograph from Uganda. 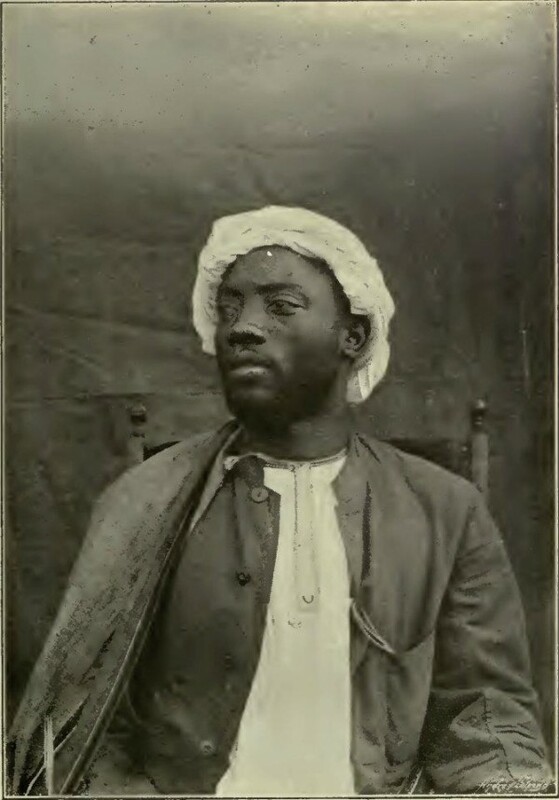 A portrait of Mwanga, made in 1893. It is taken from a book that is downloadable for free. The downloadlinks of the sources of material we find online is with the album the photo's are posted in. DT: When was the idea of HIP hatched and what inspired it? Is there a difference between the original idea and what you are doing now? Stultiens: HIP started August 2011, but is based on an interest in the representation of Ugandan identity and history in photographs which is older than this. This interest has resulted in other projects, such as ‘Things That Matter’, a photo exchange between Kyabahinga and Kreileroord, the Netherlands, ‘Pose, Ugandan Images’, about photostudio backdrops representing idealized worlds, and the above-mentioned ‘The Kaddu Wasswa Archive’, a collaboration with Kaddu Wasswa and Arthur C. Kisitu, based on the personal documentation of Kaddu Wasswa’s life. August 2011 I was talking about my long standing idea of establishing an accessible collection of collections with the Ugandan artist/designer Rumanzi Canon. He was interested in it, and we decided to just start low budget on Facebook, only investing our time, and see where this would lead us. We hope to have a website up as soon as possible, in which it will be easier to search our growing collection. We hope to start developing exhibitions, or thematic presentations on request too. So far HIP is still very close to what I imagined it could be, it is just doing better, with lots of interest in it. A scan from a lanternslide that is part of the collection of Gayaza High School. These are hand colored black and white slides that were originally mass produced for educational purposes. We are not sure of its date, but they probably go back to the earliest decades of the 20th century. DT: For a curious photography lover who wishes to know what HIP is about, which of HIP’s archives or photos would you advise them to begin with? Stultiens: Do you want to see Uganda from a colonial perspective from the 1950’s? Go to the Uganda Protectorate Public Relations albums. Interested in an earlier period? Check the Matson Photo Archive or the photographs from The Baganda at Home, a publication from 1908. Did you go to Gayaza High School? Then it might be interesting to you to see images from the early days of the school, or from the early 1970’s, when the skirts were ultra short. My advice is to follow your instinct. Once the website is up and its database gets filled it will be possible to search through various collections by keywords. We do encourage and would be very happy with comments on the photographs, especially if they contain new information connected to what the photograph shows. 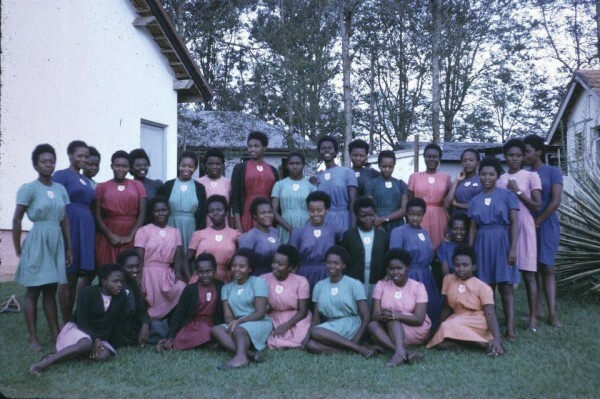 A scanned slide from photographs made by a teacher at Gayaza High School around 1970. These files were given to us by someone who liked the HIP facebook page. This resulted in us documenting the whole archive of Gayaza High School. DT: Has HIP added anything to your own photography and has it changed the way you work? What is the effect? Rumanzi: Looking at photographs and attempting to find out what they say, what they want, what I want from them – other than telling me things that I want or do not want to know – has made me look at a photograph as an unambiguous infinite text. A text which places its reader in two split-time scenes; one in the photograph (that you are part of to perceive the photo) and the other at where you are reading/viewing the photograph. I have ended up with a repressed knowledge that there is no such a thing as ‘Photography’ but images and aims in stories. DT: How does HIP fall into the scheme of Uganda at 50? Was the timing deliberate or did it just happen coincide? What do you think these HIP photos will say about Uganda at 50? Rumanzi: Photographs in the HIP collections have a lot to say about the idea of Uganda as a republic, as a geographic location, and as an economic administrative construct. However, it is a coincidence that HIP started up almost a year in advance of the date marking 50 years since the British felt comfortable enough to close physical office in Uganda. DT: How long is HIP supposed to run? DT: Have there been any significant HIP findings in the photography field? Has the project evolved towards more than HIP was intended to be? Stultiens: Personally, I make new findings everyday, when doing new posts. Seeing a photograph more than once makes me see different things on it. We are stumbling across interesting new material that has not yet been published. Since some of it is privacy sensitive, and we want to treat people with the utmost respect, I cannot say too much about it. But in due time, when everyone involved is at ease with what and how images can be shared, these will be published. I believe HIP is evolving in an interesting way. My dreams keep growing as the reality develops, so it is hard to say really whether it is evolving to more than it intended to be. I just like the way it is developing. However, so far it has been funded by me personally, and this needs to change as it gets more and more time consuming. We are currently looking for funding through sales of exclusive prints from the collection, where we share proceeds with the original owners of the photograph. But we would also welcome sponsors and before mentioned assignments for thematic exhibitions/photo editing. 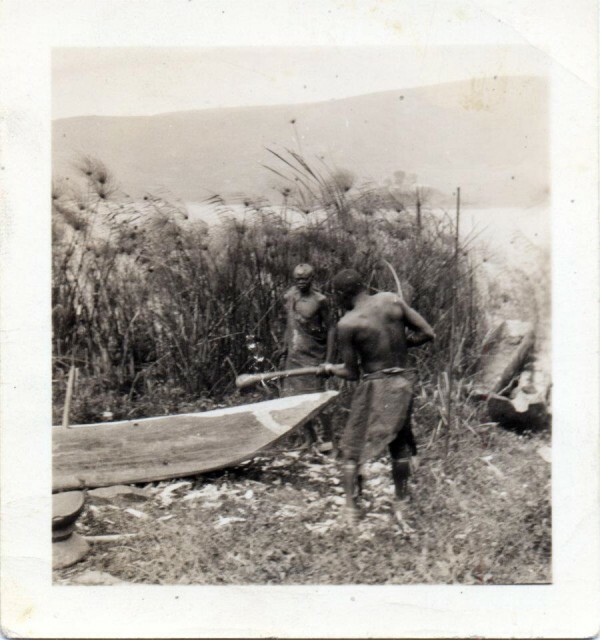 An image from a collection of photographs taken by anthropologist May M. Edel in the 1930's around lake Bunyonyi, while she did a research into the local culture. This resulted in a book called 'the Chiga of Uganda. Edels daughter brought the photographs back to the region and donated them to Edirisa. They operate a museum in Kabale. We scanned the photographs from them and have been in touch since with Edel's daughter who is in the US. DT: Why was Uganda your choice to implement HIP from? Is Uganda the only place where you are undertaking such a project? If not, where else are you at work? Stultiens: I have been working on other projects in Uganda since 2007, spending as much – but never enough – time in Uganda as possible. I have also been working with archival material in places like the Netherlands, Canada, Germany and the US. However, in Uganda there is another urgency to it. Photographic material has got lost due to numerous reasons. 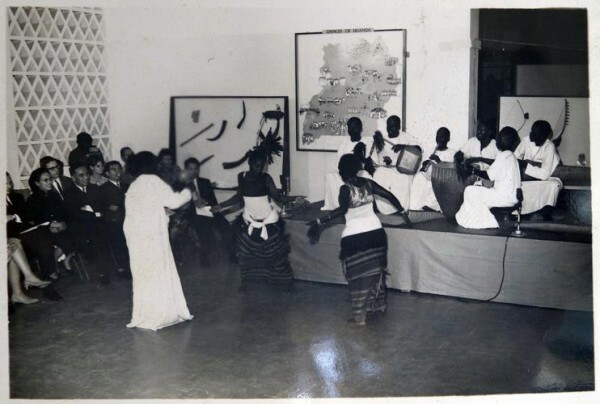 Lots because of the political turmoil, some due to climatical and economical challenges, and some maybe also – as a Senegalese friend once pointed out – because there is no tradition of physically documenting history in African cultures. At the same time the world (i.e. the colonialists) have been documenting Uganda extensively, contextualizing what they encountered from a western perspective. 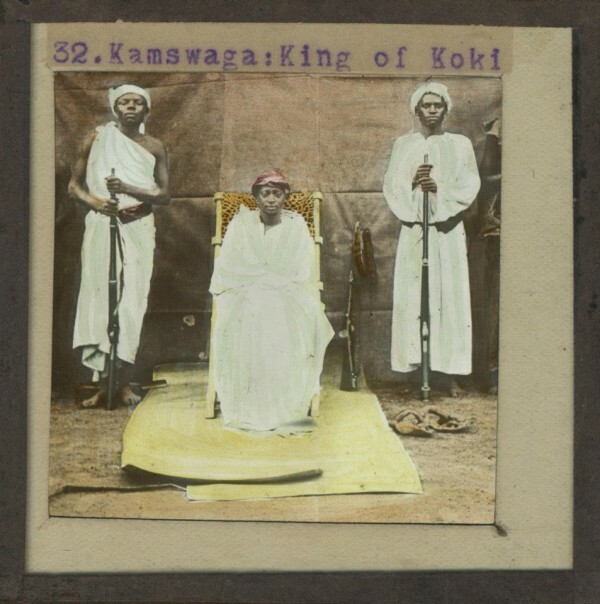 I think we can learn a lot from re-evaluating photographs from collections in – as well as outside of – Uganda, and attach stories from various vantage points to them. This photograph is part of the collection of the Library of Congress in Washington. They have the images of the Matson Photo Collection, a company who photographed mainly in Palestine, but also in East Africa. They sold these photographs and made lantern slides out of them. The photographs are in high resolution and free of copyright downloadable for anyone from the website of the library. DT: Have you noted any impact of HIP on the Ugandan cultural scene/persons and what is it? Any future expected impact? Stultiens: Well, we are getting quite a number of very positive feedback from people appreciating what we do. What exactly the impact is, is hard to say. Of course I hope that our impact can grow. One thing is that we would love to start giving small assignments to contemporary Ugandan photographers, ask them to respond to the photographs and/or collections in our archive from their perspective, thus giving them creative freedom and authorship and connecting the past very explicitly to the present. This photograph comes from the collection Andrea worked with before she started HIP. Together with the owner of the material, mr. Kaddu Wasswa, and his grandson Arthur C. Kisitu she made 'The Kaddu Wasswa Archive, a visual biography', a book and a traveling exhibition. DT: Can anyone get involved in HIP? How do they participate? Stultiens: So far HIP is Canon and me. Another friend of mine is trying to contact institutional collections for us. We especially welcome involvement through adding information to the photographs we publish. This can be done through showing photographs to elders and asking them for their stories for instance. If someone has a collection or knows of one that should be shared, we invite them to contact us. We can then see whether we come to digitize the material, or whether there are other ways of doing this. Either we take pictures of any photographs on the spot, or if there are negatives, we borrow them to digitize the images in the Netherlands, returning them as quickly as possible as we think the material should stay with its owners. The owners also get digital files from us for their personal use. We may develop to a bigger team, but for now it’s a two person thing. With a growing support group though, which I am very pleased with. 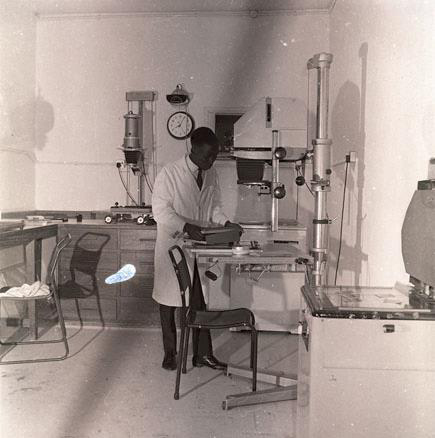 Photographer Deo Kyakulagira in a darkroom at Makerere University. We are working with the family of Deo Kyakulagira to give his work the credit it deserves. DT: What would be the best way to ‘save and conserve’ Uganda and Ugandan photography/history? Rumanzi: I would need to first get answers to: What is Uganda? Whose is it? Who gains from Uganda? Who needs to save and remember Uganda? How do I remember Uganda? From whose memory? Can I get all these answers from old photographs published in HIP collections? Who made the photographs? When and where did they make them? Why did they make the photographs? What does the photograph say? What did the person who made it want it to say? What do they say about Uganda now? What do they say about the probable Uganda? What would I like them to say despite what they say? What is the difference between Uganda and Uganda in the photographs? Are the collected photographs of Uganda history from Uganda heritage? And maybe startjournal’s readers might be able to answer some of Canon’s questions. 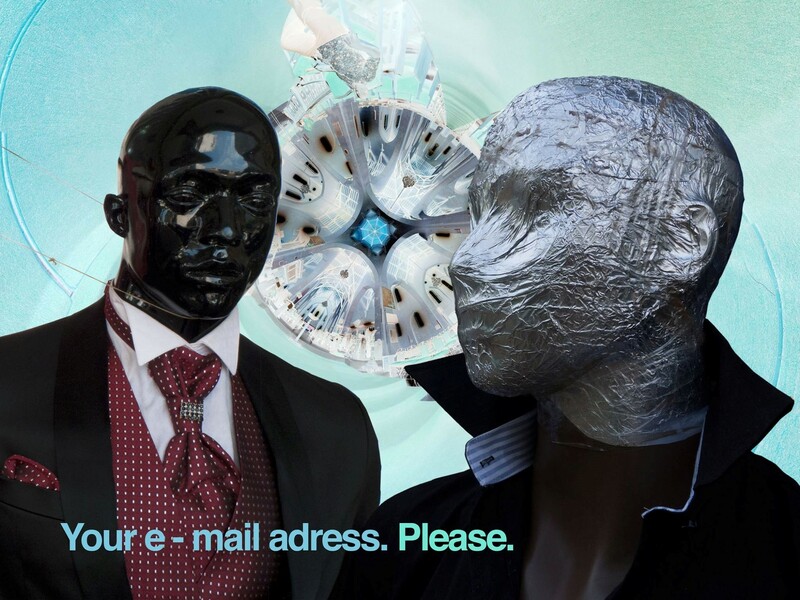 Please use the comments field below. David Tumusiime is a writer and a journalist. He is the guy who brings you www.madandcrazy.blogspot.com & Taxi Tales in Sunday Monitor. You can visit the Facebook-page of History In Progress Uganda here. As that bass player was still plucking his (one?) string bass, the bring flew … no was flung away! I wonder if he could tell, because the bridge can be seen falling and not yet on the floor. They must have stopped then, since he’s the only one giving rhythm in the shot. 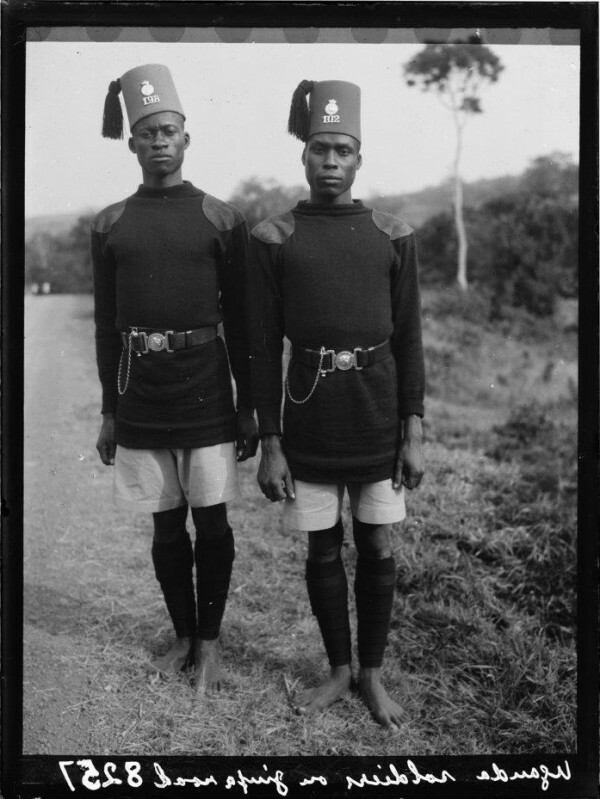 I would really love to see more pictures from the Library of Congress if any about Uganda. Very intreasting seeing all these pictures.